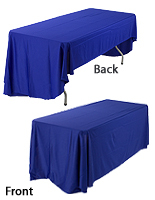 Buy A Folding Table From The In-Stock Leader: FoldingTablesNow.com! 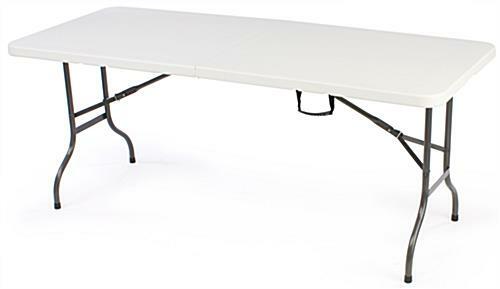 Shop Online With FoldingTablesNow.com For A Large Selection of Cheap Folding Tables! This folding table is a perfect accessory for any presentation or display. 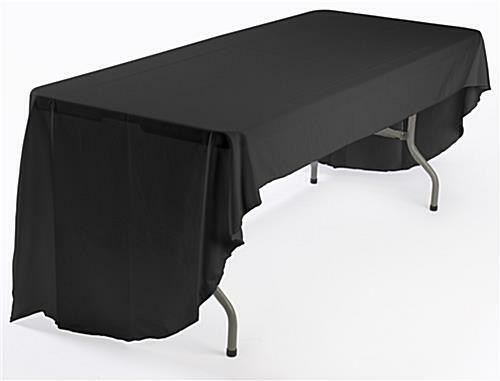 The collapsible furniture, folding table comes equipped with a black, polyester tablecloth to help create a quick, yet polished set-up. 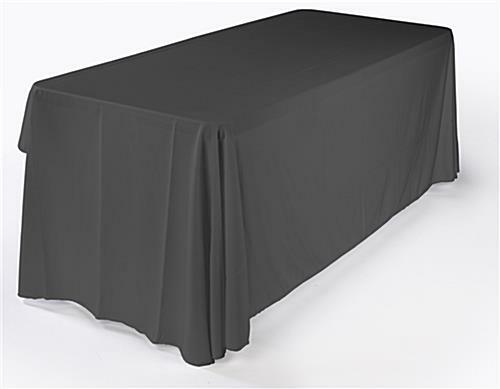 Your tablecloth only covers 3 sides of your counter, leaving an opening on the backside to position chairs or to leave an easy way to access materials stored underneath your table. 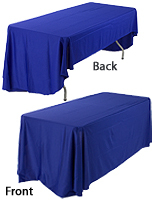 We even provide your folding table with a flame test certificate, guaranteeing the tablecloth's durability. The folding table, also known as a trade show display, features folding legs and a folding countertop to make transportation and storage easier. 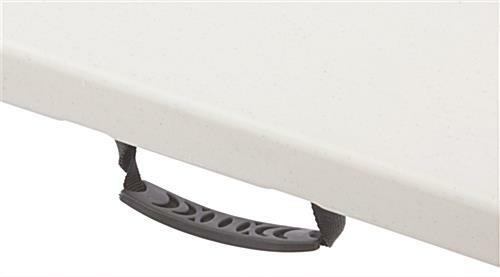 The 6-foot table even includes a plastic handle for carrying! 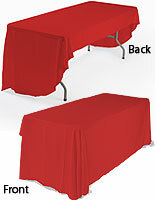 This folding table is a great alternative to renting venue equipment at each exhibition. 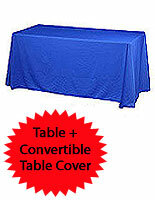 Not only will you save money, but you will also alleviate stress by knowing your table is durable and long-lasting. This portable counter display is therefore an ideal folding table for individuals who participate in various trade show events. 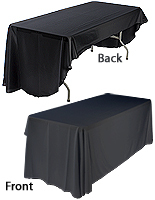 The trade show furniture, folding table even features metal brackets, adding stability and structure when set up.